If you are deciding if you should buy an Instat360 One X or Ricoh Theta V for Matterport Capture 3 BETA, my recommendation is: Insta360 One X. If you want to buy a Ricoh Theta V because you plan to use it with Ricoh Tours, you will be okay using the camera for both applications. If you are considering Insta360 One X or Ricoh Theta V for Cupix, both cameras are integrated seamlessly with Cupix SLAM App Beta. I have used both cameras and prefer the workflow of the Insta360 line of cameras. The difference is personal. It may be like asking the question, do you prefer Canon or Nikon (Canon) or PC or Mac (Mac). What do you think? When you see a side-by-side comparison, which camera do you prefer? Note: If you would like to borrow an Insta360 One X or Ricoh Theta V, please see the WGAN 360º Camera Loaner Program (see tab above). P.S. Shot a Matterport 3D Tour with Insta360 One X or Ricoh Theta V? Please share here ... (or start a new WGAN Forum discussion). These cameras are so inexpensive you should own both. BTW all 2 lens 360 cameras with a prism, can produce the red dot. The One X is no exception, but it is less frequent than the Theta V.
I have the Theta V and don’t care for the quality of the final product. I would go with the insta360 ONE X, but please note, it is not -presently- supported by Capture 3.0 Beta. It -will- be supported soon. 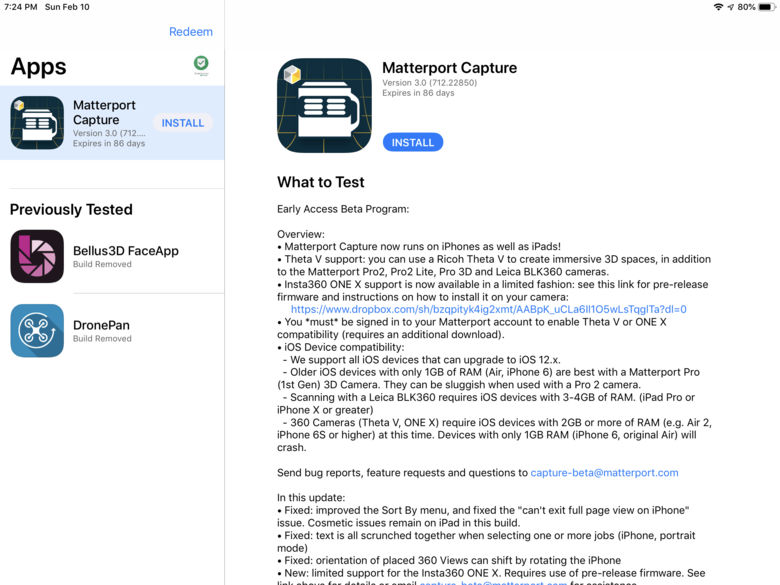 Hmmmm..... That's interesting that the Insta360 One X is not supported by Matterport Capture 3.0 Beta. I say that because a Matterport rep at ICNY19 Wednesday (30 Jan 2019) showed me a Matterport 3D Tour shot with an Insta360 One X. How did they shoot that, if not with Capture 3.0 Beta? If I have a matterport pro2, can I use insta 360 one x on the same account? You can use the Insta360 One X and Matterport Pro2 on the same Matterport account and in the same Matterport model. Anyone know APPROXIMATELY how much longer before the Insta360 is supported by the Capture 3.0 Beta? It’s available now. 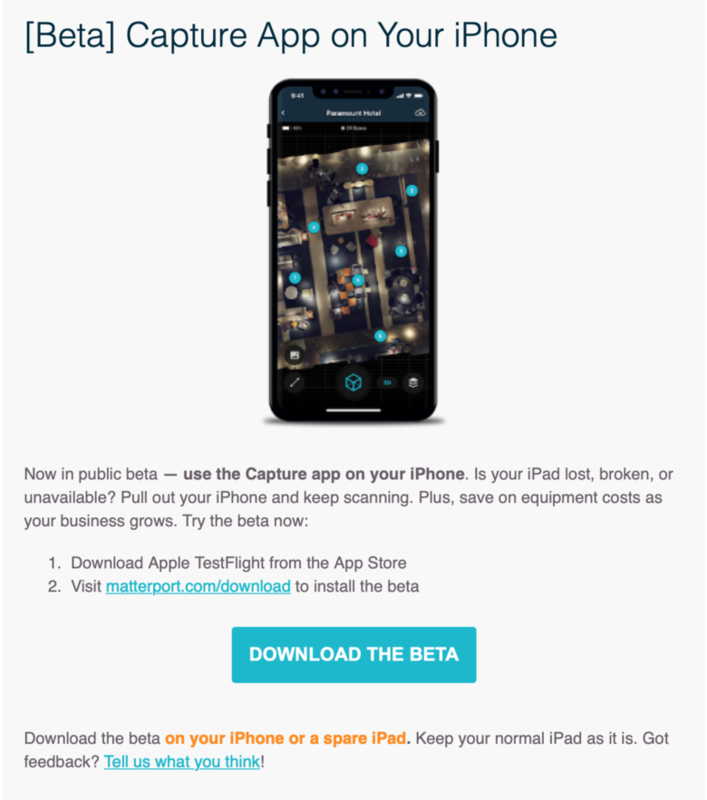 Instructions are in latest TestFlight Capture 3.0 beta. Hi Dan...is there anyway to fix the red dots from the Ricoh Theta V? ✓ How do you fix the "red dot" from the Ricoh Theta V?